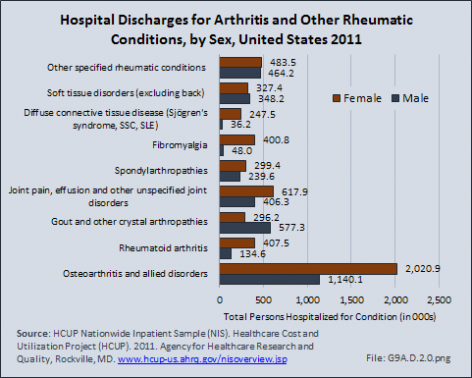 In spite of the frequency and pain severity related to arthritis and other rheumatologic conditions (AORC), AORC account for only a small portion of hospital discharges. 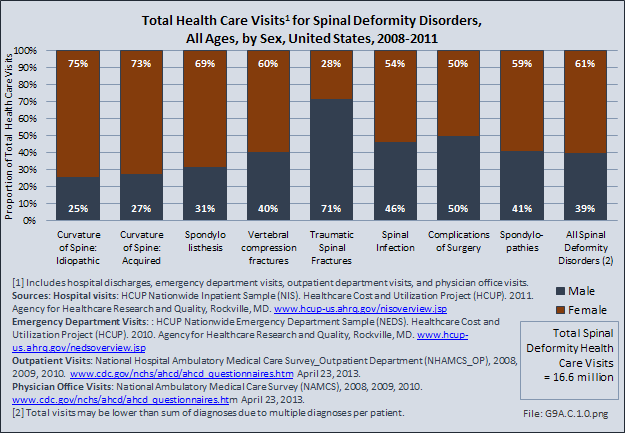 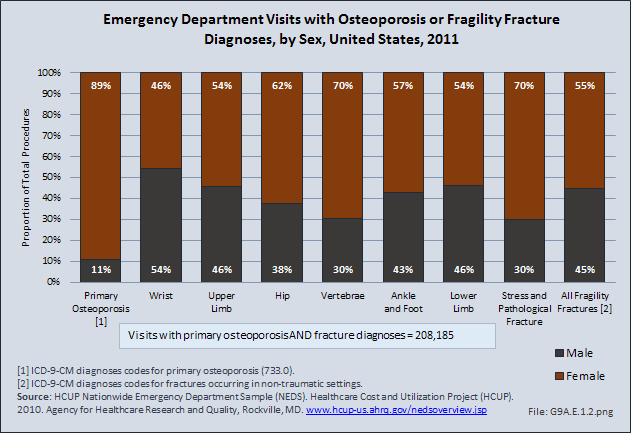 Visits to a physician’s office or alternative type of care account for the majority of health care related to AORC. 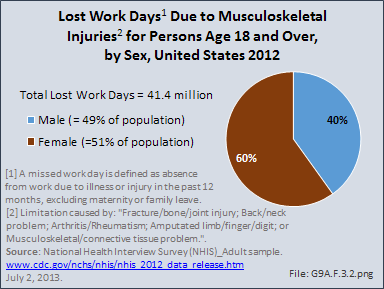 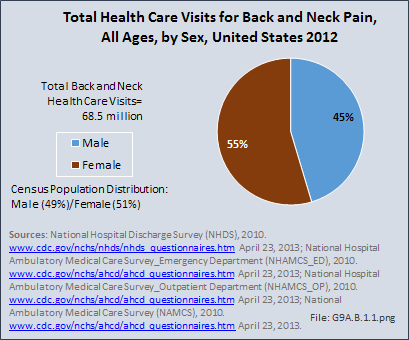 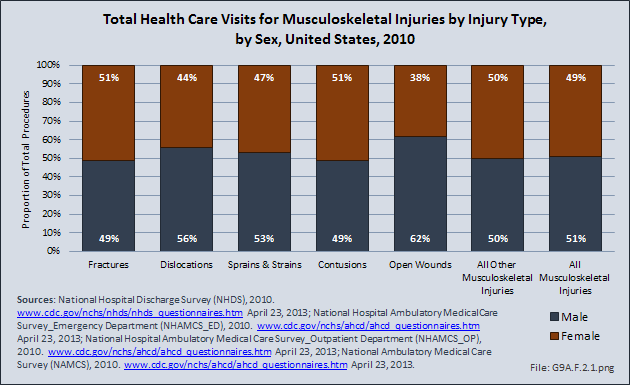 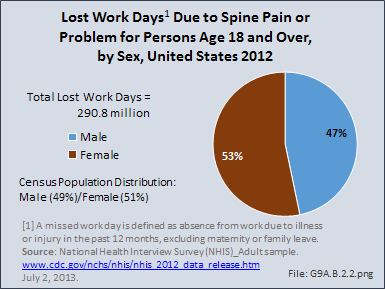 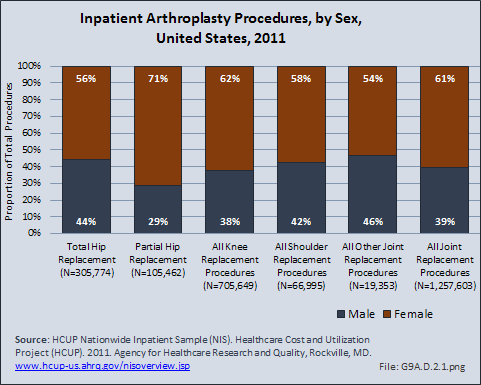 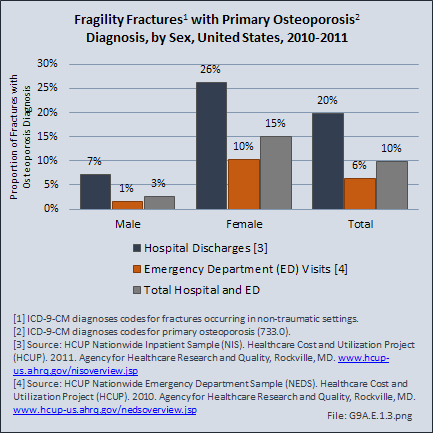 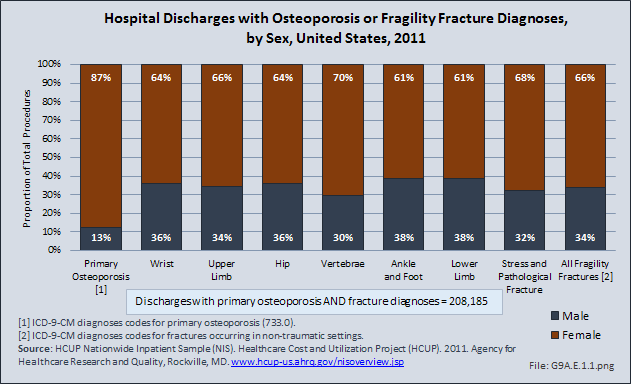 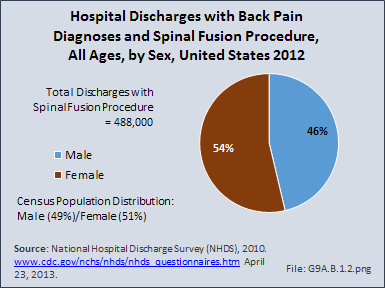 However, among the 6.6 million hospital discharges for an AORC in 2011, 60% were women. 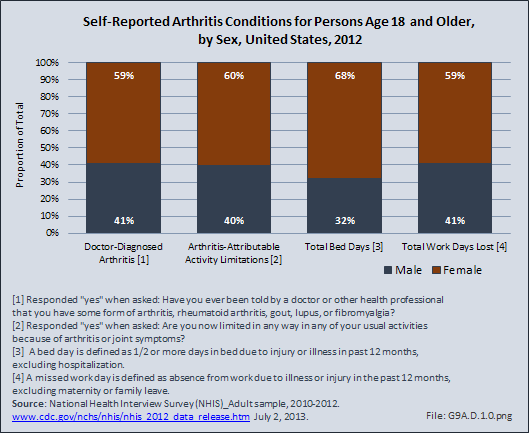 Among the nine major conditions defined by the Centers for Disease Control (CDC) Arthritis Division as AORC, gout is the only condition where men are affected at a higher rate than women (66% of discharges versus 34%). 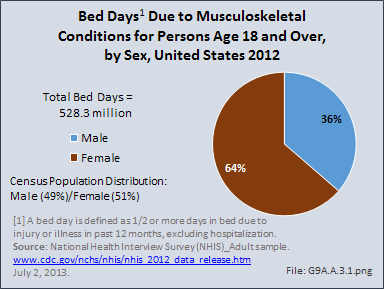 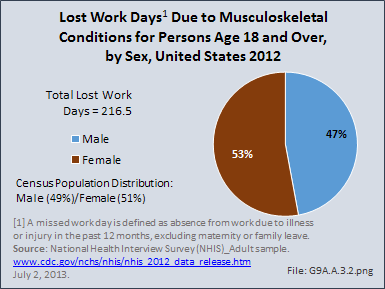 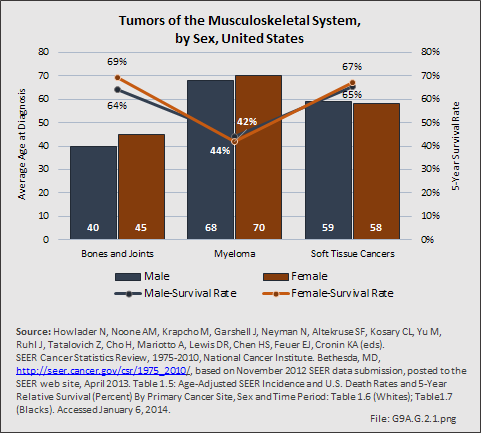 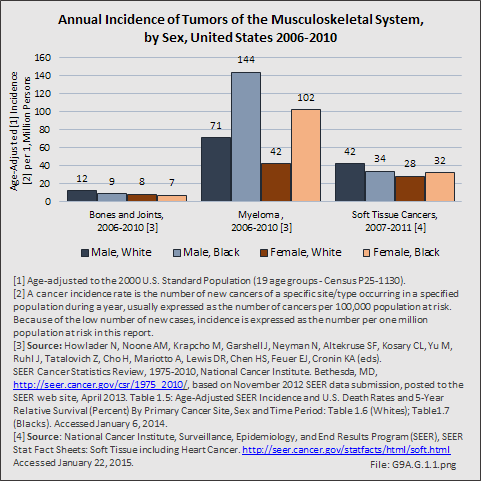 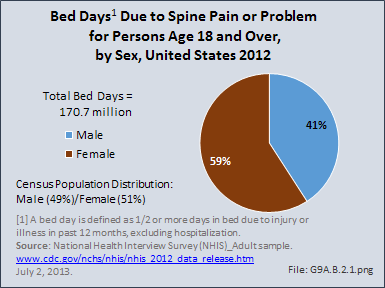 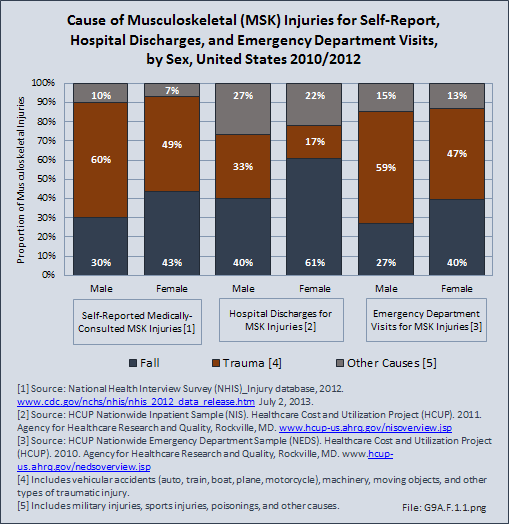 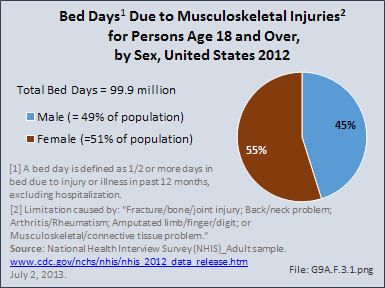 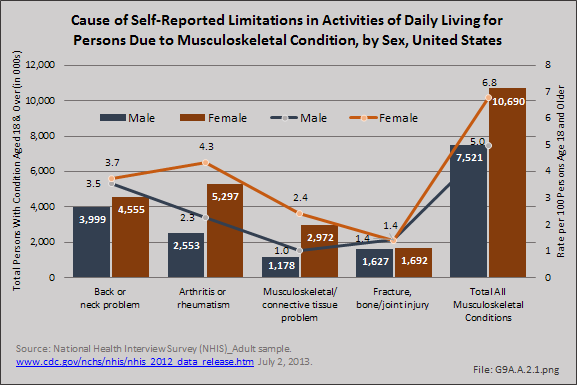 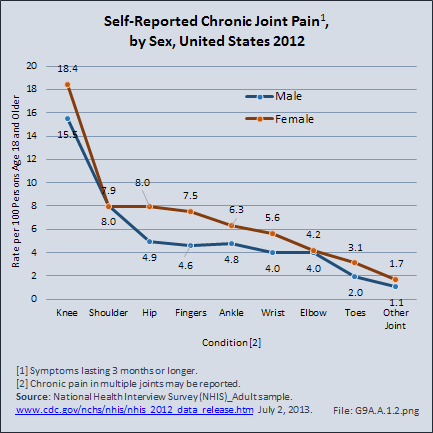 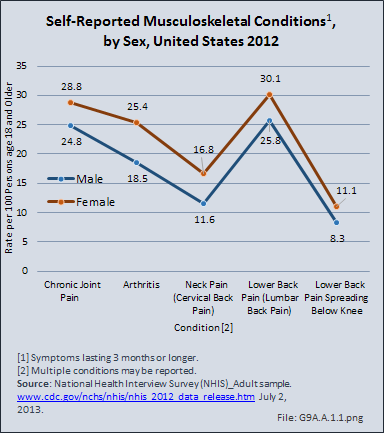 Soft tissue disorders are found in about equal numbers between men and women.